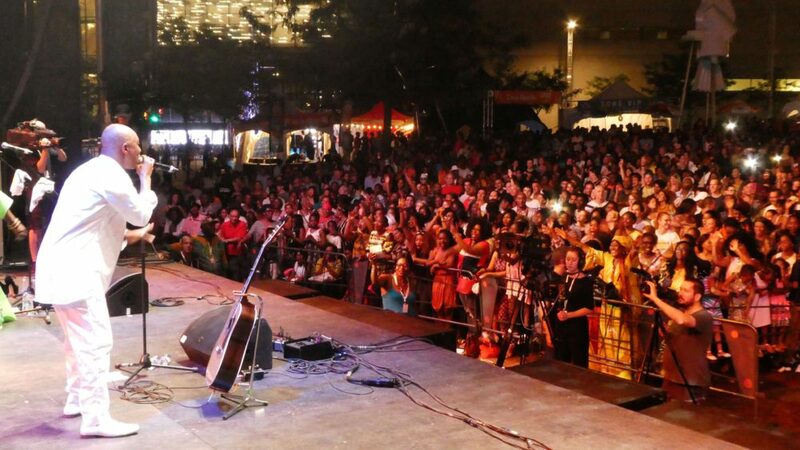 Considered the largest African music festival in North America, the 32nd annual Festival International Nuits d'Afrique took place in Montreal July 10-22. Besides bringing artists from around the globe, the festival taps into the wealth of homegrown artists living on or around the island. The outdoor festival grounds in downtown Montreal hosted over 25 performances and there were over 30 shows at numerous indoor venues around the city throughout the festival's 12 days. With so many concerts, often happening at the same time, there are certainly enough choices to satiate even the most ardent world music fan. Below are some of the acts we were most impressed with this year. Flavia Coelho. All photos by author. 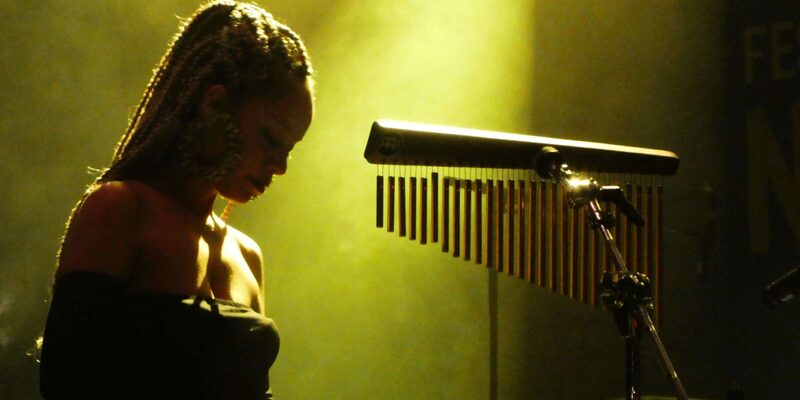 As Afropop's Akornefa Akyea reported, the best show was originally supposed to bring together four musicians from Africa and Brazil to explore their common roots. Dubbed Alkebulan--the ancestral name for Africa--it was to feature Mû Mbana (Guinée-Bissau), Sergio Pererê (Brazil), Zal Sissokho (Sénégal-Qc) and Jabu Morales (Brazil), but when Mbana and Morales were unable to come, Paris-based Brazilian ex-pat Flavia Coelho stepped in, as she was already in Montreal for her concert the following night. So, without any real time to rehearse, the group hit the stage. On top of that Sissokho speaks French, but no Portuguese; Pererê speaks Portuguese, but no French; and Coelho in the center who speaks both cross-translated between her fellow musicians on stage. 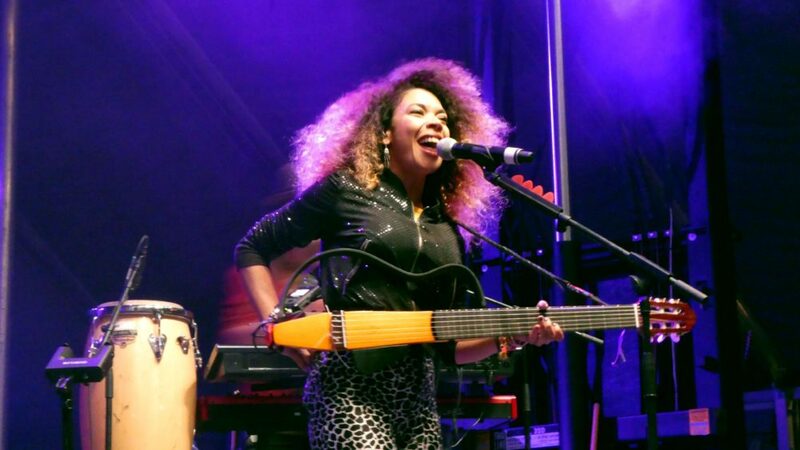 While there was a lot of jamming and improvising between them because of the lack of rehearsal time, this may have aided in achieving the concert's goal of demonstrating the connection between Brazil and Africa as it happened so naturally. This was a once in a lifetime event, and you could feel the electricity in the audience at how special this night was. We hope they decide to make this an actual project to take on the road, because more people should have the opportunity to experience it. The following evening at the outdoor festival grounds, Coelho, with her band, yet again proved for us that she has got it going on. It's hard to believe that not so long ago she was busking in the Paris Metro the way she commands a festival stage. 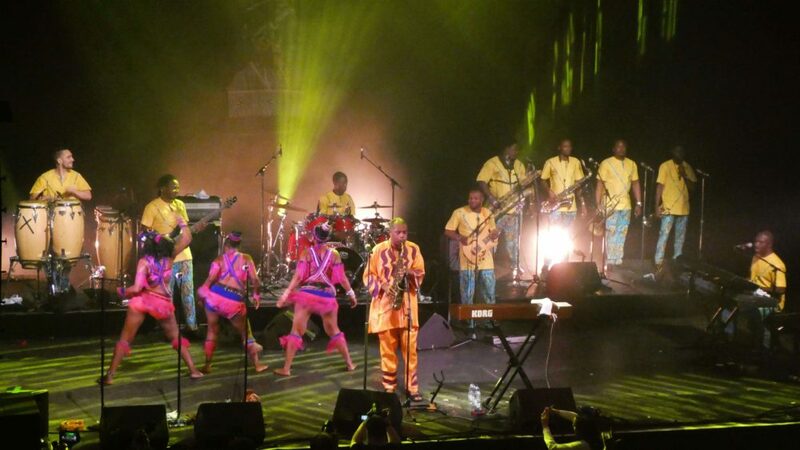 The big opening night show of the festival was Femi Kuti and the Positive Force. 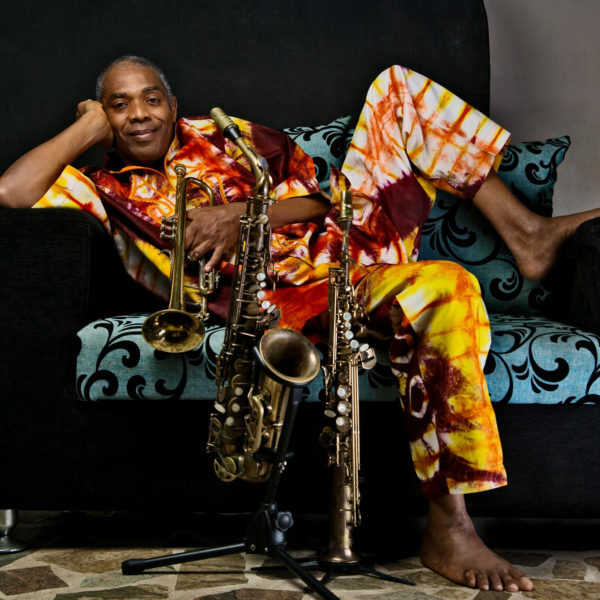 Watching Kuti, son of Afrobeat icon Fela Kuti, develop over two decades, both musically and personally, has been an amazing journey to follow. His show is tight, hot and a force to reckon with. The opening act, Bonsa Toun’wanzè, based in Ottawa, but hailing from Burkina Faso and Ghana, first caught our attention last year at Mundial Montreal. He had the audience thoroughly engaged in a lot of call-and-response and mesmerized them with his mastery of the koanni, the traditional African percussive two-string bass guitar. The closing performance of the festival was Guinean superstar Sekouba “Bambino” Diabaté, who had a legion of female fans swooning from the time he walked on stage through to the encore. It was a stunning set, which included some acoustic pieces he played solo on guitar. We will be featuring an in-depth interview we did with Diabaté before his show online soon. When Kaddour Hadadi, more commonly known as HK, went on stage and began to play with his band, you might have felt there was something vaguely familiar going on if you saw the band Sidi Wacho play here at the festival last year. That's because the Algerian-French HK is the cousin of Saïdou, the rapper and cofounder of that band. 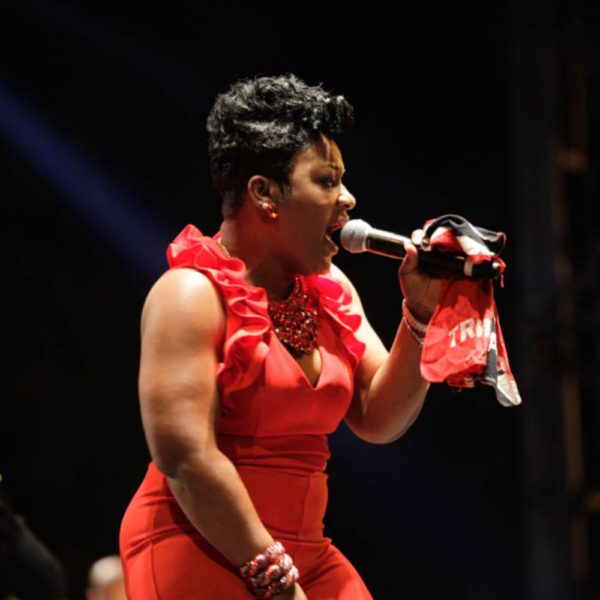 The two were also the voices of Le Ministère des Affaires Populaires (the Ministry of Popular Affairs), the highly popular group from Lille, France. Both have splintered off to form these new groups and both tap into the same influences–-a mix of Algerian and Balkan music, reggae and hip-hop, and with sharp political and social statements in their songs. And while Sidi Wacho, thanks to Chilean rapper/DJ Juanito Ayala, has the added touch of cumbia in it, HK throws more American blues and soul into his musical cocktail. HK and his band came on stage like they're entering a boxing ring–-weaving and bouncing and ready to entertain. And maybe it's his hat, or the way he relates to the audience, or his swagger on stage, but there was something that recalled seeing Leonard Cohen perform. HK’s first album in 2011 was called Citoyen du Monde (Citizen of the World), and as he told an interviewer in 2015, “Before being a singer, I am first a citizen.” His latest album, L'Empire de Papier (The Empire of Paper) includes the song “Ce Soir Nous Allons au Bal” (Tonight We Go To the Ball), written after the Paris terrorist attacks in 2015. The lyrics declare that the desire to dance is a weapon of resistance against global adversity and we should never let that go. And without a doubt, watching the audience groove to their concert, they got that message. Zalama Crew, an Afro-Latino collective of 10 artists from Cali, Colombia, was a new treat for us. They take on everything from hip-hop, salsa, reggae, dancehall, funk and electronica and toss it into a blender, and what comes out they call “La Melodia,” and it's totally original. 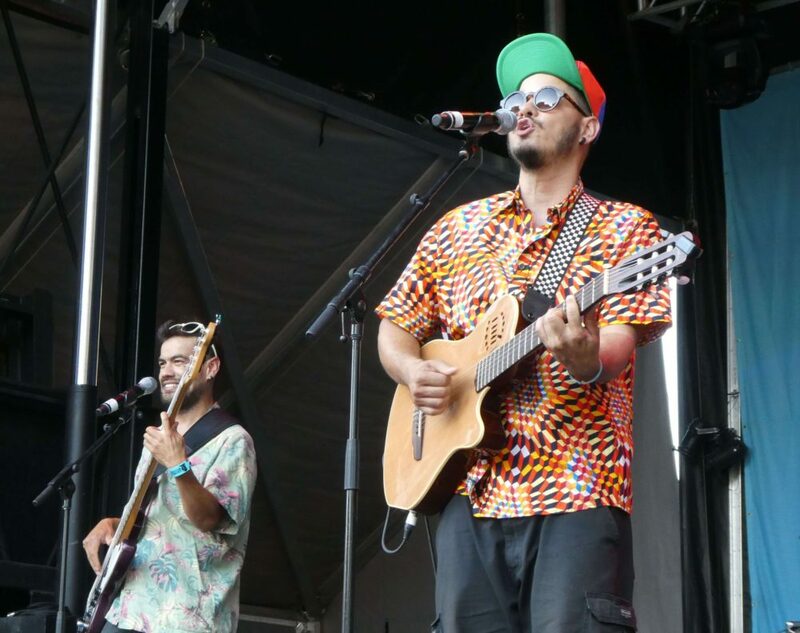 Zalama, they've explained, is an African word meaning “tribe, brotherhood and is used as a greeting to the gods.” They've been around for a decade, but we'd love to see them get some more gigs and well-deserved attention outside their homeland. The collective also runs workshops and programs to teach kids music and arts. Certainly worth catching if you have a chance. Another audio treat was Votia, from the island of Reunion, who performed both indoors at Club Balattou and at the outdoor festival stage. With just voices and percussion instruments, including the traditional kayamb, Votia transported the audience was to another time and place–-to the time of the kabars, where slaves, then later, former slaves, would gather and dance to the traditional maloya, a rhythmic blues sound. These locations were a tightly held secret, as they were banned by the slave owners and then later, the French colonial authorities. 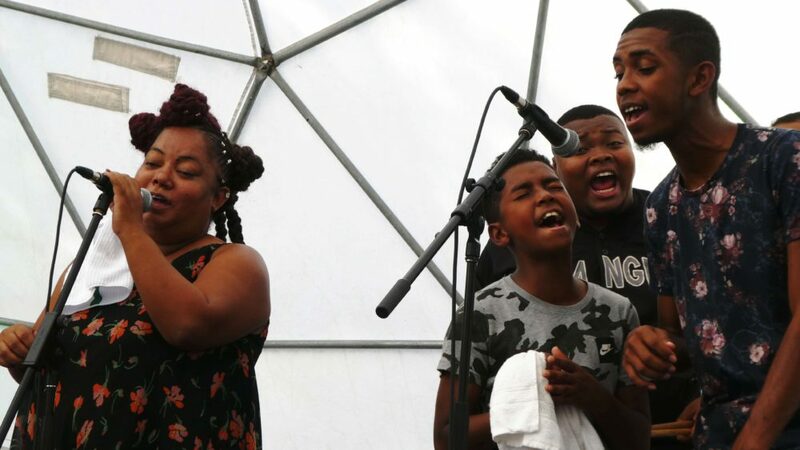 The group is led by Marie-Claude Lambert-Phileas, daughter of Gramoun Lélé, one of the grand masters of the maloya beat and vodou singing chants, and she was joined on stage by her family, including her children, husband and cousins. 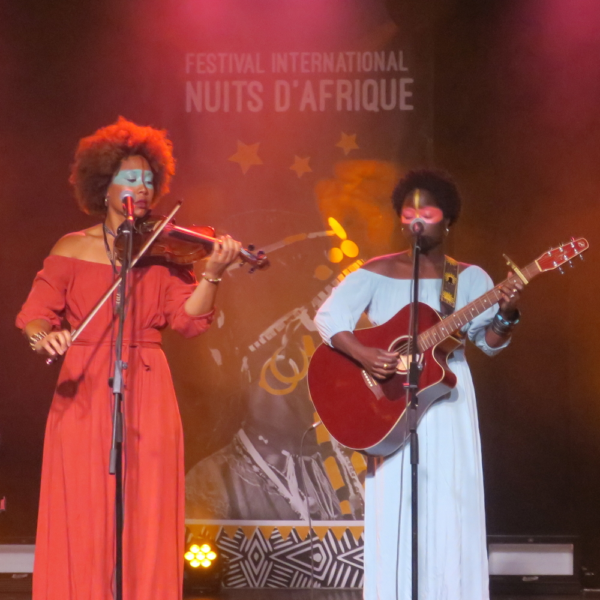 This year's break-out act was the local group, Noubi Trio, fronted by Noubi Ndiaye, originally from Senegal, who plays both cajon and guitar. Their “Afro-coustic” sound is a treat for the ears. The sold-out show at Le Ministre was also a release for their first CD, Couleur Terre (Earth Color), which is definitely worth adding into your collection. And finally, a special mention for two other acts we enjoyed: Ramon Chicharron and Degg J Force 3. Chicharron, who moved to Montreal from Medellin, Colombia, says his stage name comes from “a mix between chicha, the traditional Andean fermented drink, and ron, the typically Caribbean fermented alcohol,” and calls his music style “cumbia chicharronica,” a fun blend of cumbia, bullerengue, son corrido, tambora and puya. His second album, Merecumbé, was released earlier this year. Degg J Force 3 means, in Wolof, stands for the three forces of the right, the good and the true. Formed in 1997, the Guinean trio taps into styles ranging from rap, reggae and dancehall. We thoroughly enjoyed their set. The group’s latest release, Dynastie, includes the song “Falé” ("The bridge," in the local Susu language) which tells the story of two young men and the hardships they face as they make their way across the desert to migrate to Europe. As always, we look forward to what artists next year's festival will bring to our shores.